The Campaign of the Year certificate was awarded to Peter Hutchinson, Customer Service Director at NorthLink Ferries for the integrated campaign, which saw Aberdeen’s Fair Trade banana mascot travel to Orkney on MV Hamnavoe. 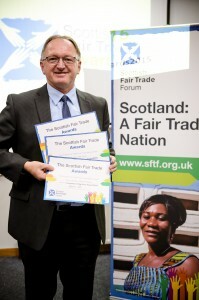 NorthLink Ferries’ commitments to Fair Trade include the provision of Fairtrade coffee, tea and sugar sourced from Aberdeen-based Caber Coffee, Fairtrade bananas supplied by JW Gray in Kirkwall and Strachans in Aberdeen and the introduction of new staff polo shirts manufactured from Fairtrade cotton. 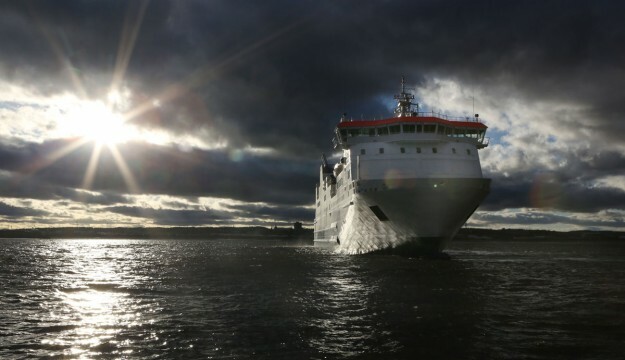 As a tribute to the company’s well-developed ethical business policy, NorthLink Ferries was named as Aberdeen’s flagship business that supports Fair Trade for 2015 earlier this year.